Carolyn ‘Ravensong’ Burkhart hiked the PCT in 1976 and as far as we know was the first woman to solo hike the trail. In the 1980’s and 90’s she went on to do section hiking with her kids when they were young. Now, she is excited to give back to the PCT through Trail Angelling at Mazama, Washington, just south of Manning Park, Canada. Pacific Crest Trail through hikers, you are invited come visit at the beginning of your southbound (SOBO) journey toMexico or at the terminus of your northbound (NOBO) PCT adventure at Canada. 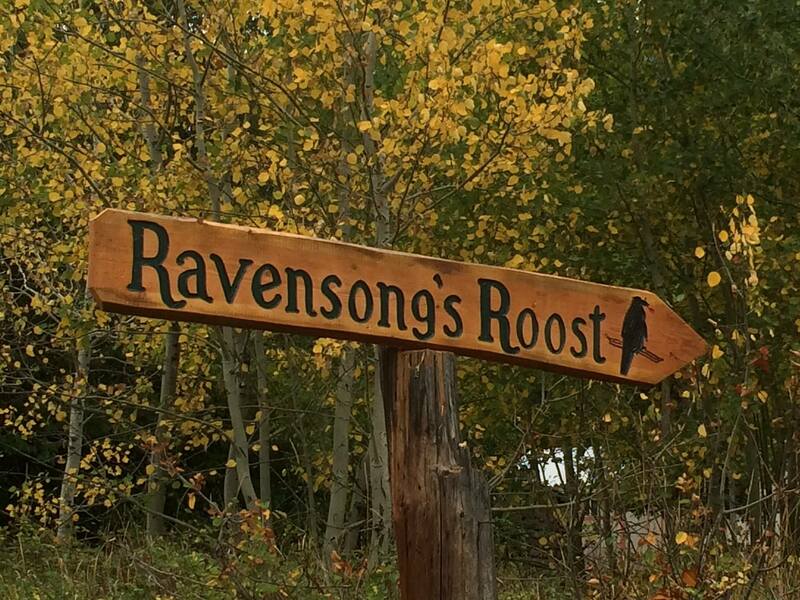 Ravensong welcomes Pacific Northwest Trail trekkers to stop by and stay at the Hiker’s Hut, too. Her Roost is just west of the halfway point of the PNT between Glacier National Park and Cape Alava on the Pacific Ocean. Mazama is the closest community to where the PCT and PNT share the same trail in the North Cascades. Drop by and camp out by the Hiker’s Hut for the night. Come team up with others in rough weather and during wildfires to learn about alternate routes and strategies to help you safely complete your journey. Take a break at the Roost and go to Mazama Store for fresh baked baguettes, scones with real fruit and homemade soup. Next door, Goat’s Beard Mountain Supply offers hiking and mountaineering gear. Resupply boxes can be sent there, too. 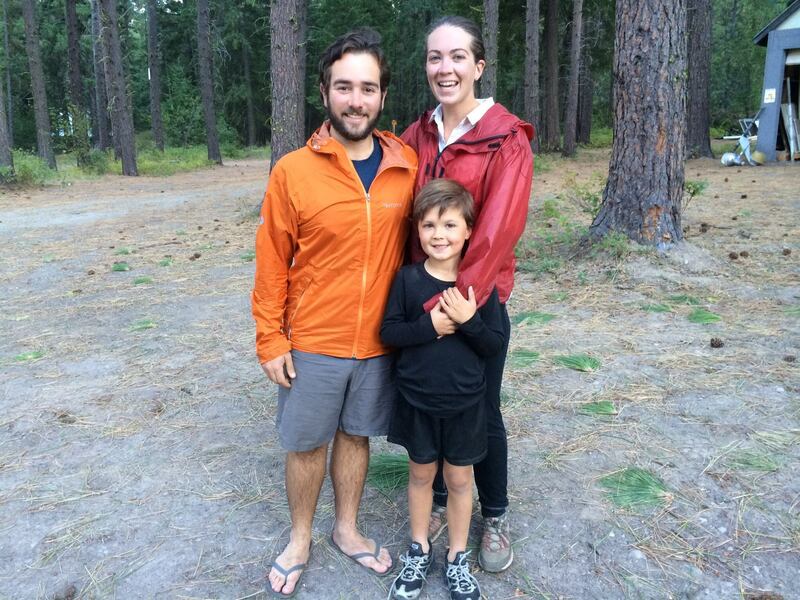 The community of Mazama and Winthrop are are excited to help PCT/PNTers, many having been through hikers themselves. Ravensong is a volunteer Trail Angel for long distance through hikers open from July to October. Ravensong’s Roost – Highway 20 just east of the firestation in Mazama, Washington. The Hiker’s Hut can be reached at (509)996-3228. PCT and PNT bring hikers young and old from all over the world! Hi Carloyn, What a perfect way to assist fellow PCT hikers! It’s so fun to see the article on your initial PCT hike, read the story about you as the token female ranger at Stehekin, and see pictures of Raven’s Roost! We plan to hike from Hart’s Pass to Rainy Pass, starting on 8/9. Do you have any reports on snow conditions on the south side of Granite Pass? I hear that it has a steep slope that can be snow-covered into late summer. Do we need to have ice axes with us just in case.